"...The director of "Dear Evan Hansen" is Michael Greif, the same guy who helmed "Rent" many years ago. Both in person and in his work on the stage, Greif has an edge. An impatience for romanticism. Like the late Jonathan Larson, Pasek and Paul have so much self-actualizing, self-helpy emotion in their music, it is as if they opened a vein as they sat at the piano and knocked out "Waving Through A Window" and "You Will Be Found" (maybe, say I). They needed a touch of that Greif irascibility to snap them out of some of that excess - he does so when he needs to here, strangling the bathetic in the most crucial moments and giving us a reminder of the cruelty of life. And that's why "Dear Evan Hansen" has sold so many tickets." "...More than any other musical out there, "Dear Evan Hansen" highlights the devastating dichotomy of social media. Thanks to Facebook (et al), humans are more connected and more isolated than they've ever been. With a click, you can keep up with friends on the other side of the planet. Yet every time you compulsively scroll through somebody else's carefully curated online life, you reduce yourself to being (as Benj Pasek and Justin Paul's cutting lyrics put it) "on the outside, always looking in," a distant background figure in somebody else's story." "...Under director Michael Greif, all the cast members impress, including Phoebe Koyabe as attention-seeking overachiever Alana Beck. She helps turn the Murphy family's tragedy into an online crusade, with implications that leave no one untouched." "...Esquire caught some hell for its recent cover story on the plight of straight white male suburban teens. But it's possible to center that demographic with smarts and heart. Grief-or a simulacrum thereof-goes viral in Dear Evan Hansen, the 2017 Tony Award-winning musical about the anxious title character, now in a stellar touring production." "...Along with Fun Home, Next to Normal and The Band's Visit ( among others ), it features a small onstage orchestra, no chorus, no big production numbers and a reduced role for choreography. Even further, Dear Evan Hansen has only 14 songs ( not counting reprises ), rather than the 18-24 of most musicals. With its extended and complex dialogue scenes, it often seems more like a play with music than a musical. These technical elements are secondary, of course, to how it all works, and the answer is "like gangbusters."" "...As Evan reaps the benefits of his new popularity and determination, his better intentions-such as a charity set up in Connor's name by the overachieving Alana (a pitch-perfect Phoebe Koyabe)-give way to more selfish motivations, including a long-desired romance with Connor's sister, Zoe (a wonderful Maggie McKenna). What saves him from becoming the villain of his own musical is his lacerating self-awareness-and the love of his mom (a great, emotionally charged Jessica Phillips). Buoyed by Pasek and Paul's earnestly emotive songs-which offer a perfect blend of rock, pop and musical theater-Dear Evan Hansen is the kind of show that doesn't come around very often. See it while you can, or risk FOMO of your own." "...The newly named, Nederlander Theatre (formerly Oriental Theatre) was where the long- awaited Tony Award winner, "Dear Evan Hansen" opened to thunderous applause last night. What a production! Flawless! A cast of 8 actors brings this ensemble piece to life. With a book by Steven Levenson and music and lyrics by Benj Pasek and Justin Paul, "Dear Evan Hansen" is more of a story where music adds to the storytelling, then a musical. Evan ( played to perfection by Ben Levi Ross) is a sort of misfit in today's society. He is shy, on meds for anxiety, has no friends and has grown up with no father and a mother, Heidi (Jessica Phillips) who is never around. 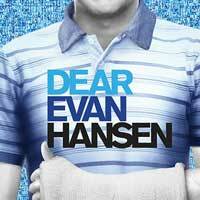 His computer is his best friend, and so when he has things to say, he types himself a letter, thus the title "Dear Evan Hansen"." "...This show is a true masterpiece. It's one of the most honest, emotionally moving and truly contemporary pieces of theatre since "Next to Normal." It's a play that really portrays the power of technology and the profound effects of social media on individuals. It's also exciting that two of Broadway's finest recent works, "Hamilton" and "Dear Evan Hansen," are both playing in Chicago at the same time. These are two completely original shows, neither adapted from a famous film nor based on the songbook of a popular singer. Both are shows that appeal to audiences of all ages, but will particularly speak to younger theatergoers. It's so important to cultivate new audiences and this is a musical that will hook even the most reluctant patron. Promising to both entertain and release a floodgate of forgotten emotions, "Dear Evan Hansen" is sure to become a hit with audiences of all ages. " "...The score is a series of poignant songs. In Disappear, Pasek & Paul have the terrific company singing about the worst fears imagined. Jessica Phillips (Heidi) tenderly sings about a pivotal moment in her life in So Big/So Small. The songs masterfully tell the stories of change that inspire faith. And nod out to the always amazing Music Director Austin Cook, a Chicago favorite, briefly returning to the city on this national tour." "...The critics love "Dear Evan Hansen." After all, the show won six Tony Awards. But I've read what some audience members thought and talked with some people during intermission. They loved the songs, they knew people who were somewhat like the show's characters, but they wanted more answers." "...This musical certainly tackles the darker moments of life, but also leaves room for fun, happy releases. Sincerely, Me appears earlier in the musical, and showcasing Jared and Evan's attempts to add some "proof" to Evan's friendship with Connor. As the two build a fake email chain, their imaginations get carried away, allowing for some much-needed light-hearted laughter from Goldsmith and Ross' hilarious portrayals - especially as we witness some of Choreographer Danny Mefford's elements of secret handshakes."